At a women’s conference in Miami, Dámaris spoke about the unique life of Abraham. What was it about his life that would single him out as the only one in the Old Testament that God called His “friend”? The Bible actually highlights only brief moments of his 175 years on this earth, but yet he is considered the Father of our Faith. He had few earthly accomplishments that we know of, and yet his faith is what is accredited to him as righteousness (Romans 4:22). Does your faith need some encouragement? Listen in and we pray that the Lord will help you trust Him more and more. En una congreso de mujeres en Monterrey, México, Dámaris enseña sobre Psalmo 23. Aunque es una escritura bien conocida, ella lo explica en una manera que es refrescante y nuevo, y demuestra que lindo es nuestro Señor. Damaris Carbaugh estará enseñando en un gran congreso de mujeres en Shadow Mountain en Español on June 22-23, 2018. ¡Invita a una amiga y ven a El Cajón, CA! 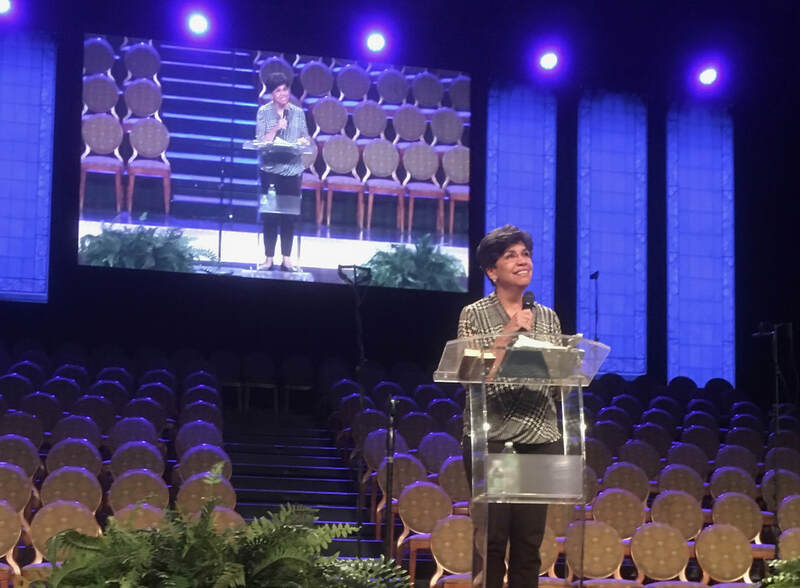 Dámaris's ministry opportunities at the Brooklyn Tabernacle began when she was a teenager when Pastor Cymbala invited her mother to speak. Since then, she has been privileged to minister there in music countless times, and has had the opportunity to speak there as well. Recently, she spoke on "The Big Question," which is what Jesus asked Peter three times after He rose from the dead: "Do you love Me?". Using Deut. 6:5 and John 14:15, Rev 2:2-5, as well as her personal testimony, she encourages us that doing is not the same as loving, and that Jesus is asking us to love Him wholeheartedly. After being in El Salvador, Perú and México, our first English-speaking event this year came in Western Michigan with the women from Grace Community Church in Hudsonville. At a conference center on the campus of Hope College, Dámaris spoke four times. Friday night, she gave her testimony. It is always the same story, of course, but never told the same way twice. Then on Saturday, she gave three messages on the book of Philippians, illustrating her points with stories from a wide variety of New Testament and Old Testament sources. Sunday morning, Grace Community also asked Dámaris to address their women's Sunday School hour. For that session, Dámaris spoke about faith, using Hebrews 11:6-10, as well as Matthew 8 and Matthew 15. Nuestro vuelo se retrasó y Damaris no pudo asistir a la primera sesión de nuestra conferencia de mujeres en La Molina, Perú. Entonces grabó un video sobre cómo Dios usa los inconvenientes. Dios nos dejó llegar por el resto de la conferencia, donde Dámaris habló siete veces mas. 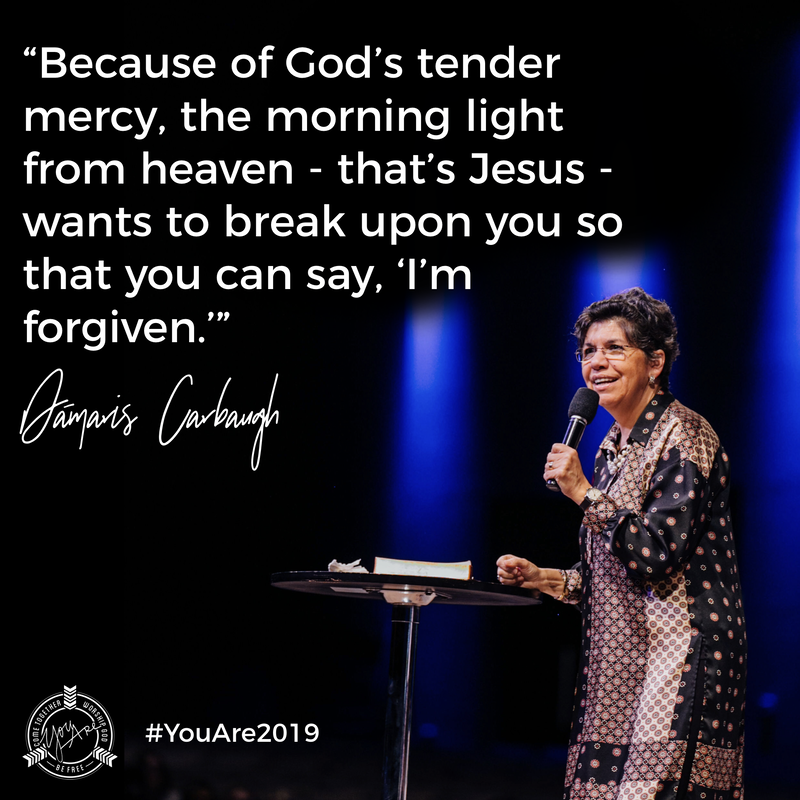 Using the temptations of Christ in the wilderness and Philippians 2, Dámaris discusses how the attitude, obedience and humility of Jesus Christ is so unlike ours, but by understanding the love and all-sufficiency of Christ, we can be like Him.